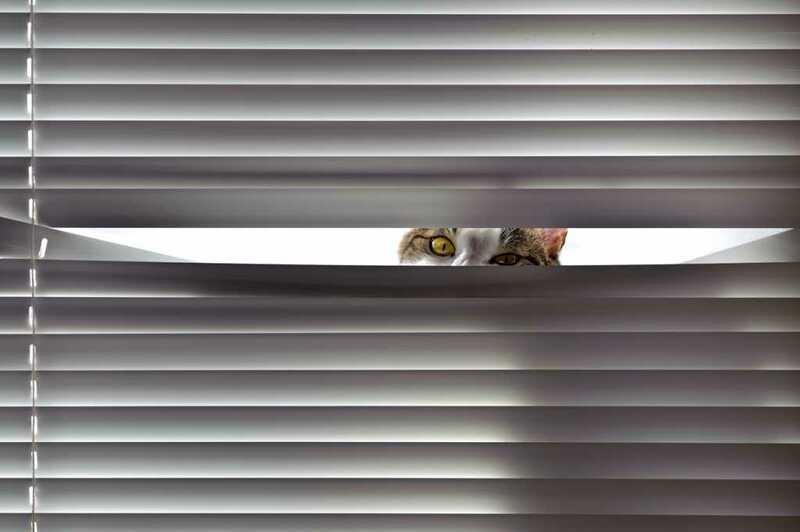 Every cat owner knows that cats and blinds have a long history of not getting along. The window allows cats to observe the outside world, which is full of interesting stimulants, such as squirrels and birds that they love to watch. Cats love to play with the cords and jump through the slats of the blinds, often getting stuck and breaking them in the process. 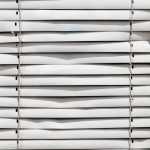 Here, we have compiled a list of tips and tricks to help you keep your blinds functional and your cat happy. Cats, in particular kittens, love playing with blind cords as they are a big temptation – a given considering it’s a big piece of string for them to play with. The best way to deal with this issue is to tuck the cords up high and out of reach, so they cannot see them or reach them. You could also install blind accessories like a safety hook, so the cats can’t play with any dangling cords. 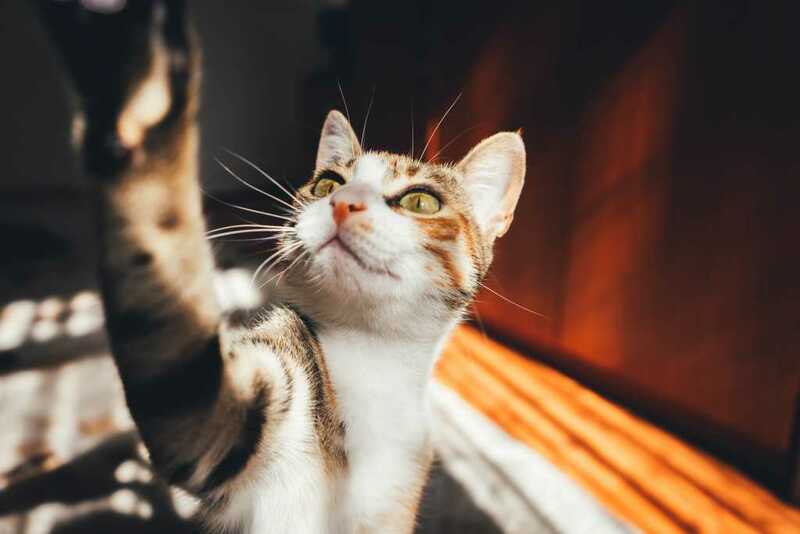 Chewing blind cords may also be a sign of boredom and inactivity, so this problem may be solved by providing the cat with their own play area or scratch post. You can also buy toys which are specifically designed to interact with your cat, so they don’t become bored easily. Many pet stores sell specialised spray which deter cats from going near an area you don’t want them near. The spray will produce an unpleasant odour for the cat, preventing it from going near your blinds (however, the odour won’t be undesirable for humans). You could even just spray it on the blind cords to stop them from chewing and fraying the ends. Furthermore, you can make a spray at home by using peppermint essence or citrus spray. You can do this in a variety of ways: either by placing materials down such as foil or plastic (to make it uncomfortable for the cat to sit on the windowsill), or place heavy ornaments on the windowsill so they cannot sit there. The latter may be more aesthetically pleasing in your home, however, please ensure the ornaments are heavy enough and big enough so the cats cannot simply push them off or sit in between them. By having a window solely for the purpose of the cat, you’ll be able to keep your other blinds functional and aesthetically pleasing. This may just mean having a cordless blind fitted in one window, or just having the blinds constantly up and out the way. 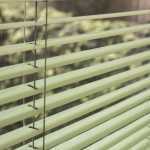 The easiest way to prevent broken blinds is to have blinds which are cat-friendly fitted in your home. Vertical blinds are perfect for homes with cats, as the flexible slats allow for the cat to move freely through the blinds without breaking them. This also means they won’t be able to climb up the blinds to reach the blind cords you have tucked away! This doesn’t mean compromising on style, as we provide chic, durable vertical blinds which suit any decor in the home. 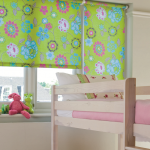 Here at Denton Blinds, our experienced team can advise you on any blind-related queries and ensure you receive only the highest quality and fully functioning blinds. For more information, or to hear about any of our products, give our friendly team a call today!